The Imperial hotel has been accommodating and catering for guests for over 100 years, offering the same standard of friendly hospitality year after year. Located by the coast on the south-west corner of the island, the Imperial’s setting is very much appreciated by visitors for its natural beauty. Sandy beaches, clear seas and terrific sunsets are an integral part of the Imperial’s daily pleasures. There is a selection of single, twin and double rooms, some with balconies or sea views. All rooms are en-suite and equipped with colour TV, telephone, DVD player, and tea & coffee facilities. Extras such as hair dryer, iron, travel plug adapters, newspapers and extra pillows & blankets can be requested at reception. As popular with locals as it is with visitors, the Water’s Edge has a strong and deserved reputation for its wholesome and simply delicious food, with an emphasis on local produce and fresh seafood. 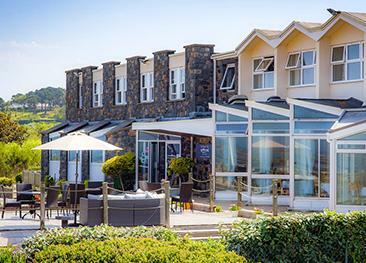 It is open daily for breakfast, lunch and dinner and offers an à la carte menu, a Table d’Hôte and Sunday lunch carvery. The Beau Rivage Bar offers home cooked bar meals. 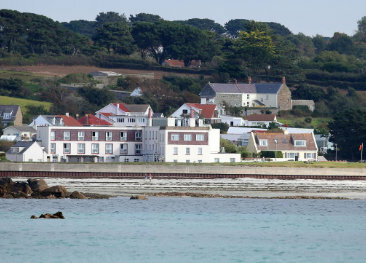 The Imperial sits across from Rocquaine Bay and is on route to cycling and walking paths. There are no lifs at the Imperial. Dogs are accepted in some bedrooms on a request basis at a charge of £10.00 per night. Dogs are not permitted in the restaurant. The room was adouble and big but there was only one chair to sit on needed two. Hotel in beautiful location overlooking the bay. Service in restaurant was very friendly and efficient. Food was great. Everything needs updating! Excellent breakfast n service. Awful extractor fans n showers. Lovely views. We're a little unsure how it be as when we arrived it seemed that the staff had also arrived on the same day and were as unaware of the facilities and local knowledge as we were. 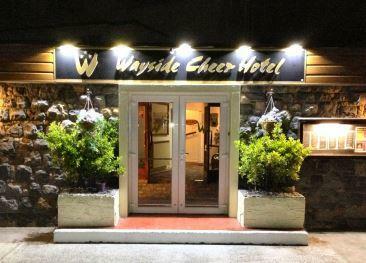 As it turned out the food was excellent and the accommodation clean and the staff friendly.